How can one city be so lovely? Niagara-on-the-Lake, the oh-so-charming town that is nestled just beyond the roaring power of Niagara Falls, makes for a beautiful stop. The town is painted with colour, from the many hanging baskets filled with blooms in the warmer months to the pretty Georgian-style architecture. Take a walk through the streets, visit the Falls on a day trip, and get your sugar fix at an award-winning chocolate factory. Snow bunnies and action lovers adore Banff not only for its immense beauty but thanks to its close access to epic ski fields and neighbouring ski resorts such as Sunshine and Lake Louise. 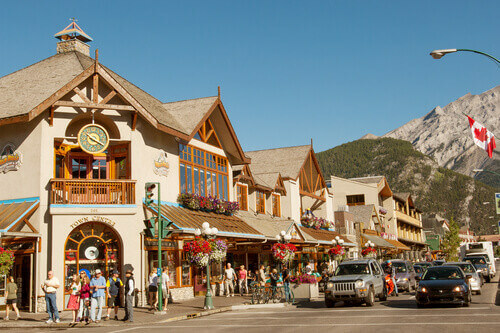 The town is surrounded by looming mountains carved by glaciers, grand chateau-style hotels and 6,500sqm of parkland that is home to grizzly bears and elk. A soak in the Banff Upper Hot Springs is recommended. 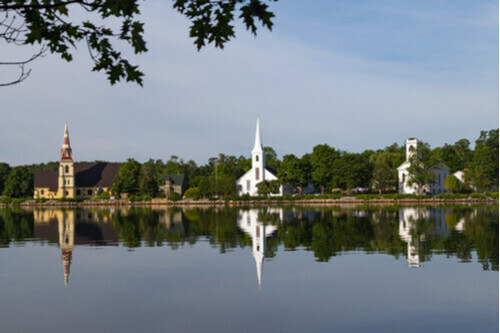 Mahone Bay may be one of Canada’s lesser-known towns but its friendly vibe, chilled-out pace, and location - it hugs the rocky Atlantic coast of Nova Scotia – make it a charming hotspot to loll a while. Vibrant dollhouse-like buildings painted in shades of lavender and aqua blue, dot the bay’s edge as do several historic churches. Be sure to stroll through some of the town’s galleries and shops to see intricate works from local Nova Scotia artists. Honeymooners and expert skiers, this one’s for you. An aerial view of the picturesque hamlet of Lake Louise reveals a peacock-blue lake surrounded by snow-capped mountains and the iconic Fairmont Chateau Lake Louise at the water’s edge. In winter, it’s a snow-laden utopia with visitors ice-skating atop the frozen lake, taking sleigh rides around its edge, and skiing down world-class slopes. 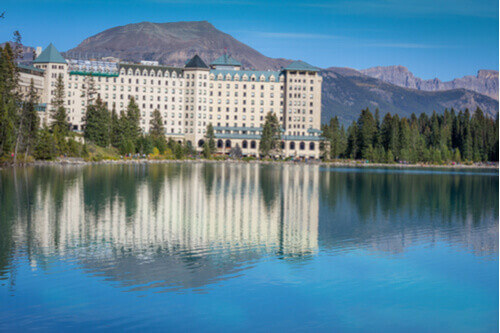 Come summer, daylight lasts until 11pm allowing you plenty of time to go hiking to sparkling glacial lakes or canoeing along Lake Louise. 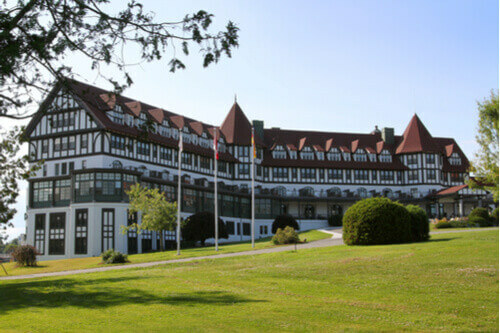 A short drive from Quebec City will see you to the gorgeous town of Baie-Saint-Paul. But don’t just stay for the day – spend a few nights relaxing amid its bohemian atmosphere and artistic streets. This is the hometown of Cirque du Soleil. If this, combined with the town’s location on the northern shore of the Saint Lawrence River, doesn’t lure you to linger a while, then perhaps the town’s hard-to-beat French cuisine will. Over on the east coast of Canada, you’ll find this sweet seaside town that goes by the charismatic name of St. Andrews-by-the-Sea. The town is located on a pretty peninsula and is the oldest seaside resort town in Canada, dating back to the 1700s. Visit the St Andrews Farmers’ Market, open Thursdays, and take a zodiac ride on the Bay of Fundy to see humpback and North Atlantic right whales in August and September. No trip to Canada would be complete without a visit to the town that has been dubbed the ‘polar bear capital of the world. 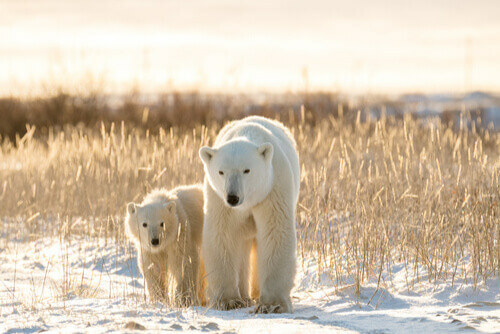 The subarctic climate means temperatures can plummet, but the chance of sighting those fluffy, cream-white polar bears from October to November more than makes up for the chill factor. Churchill is also one of the best spots in the world to see the Aurora Borealis or Northern Lights in all their glory. 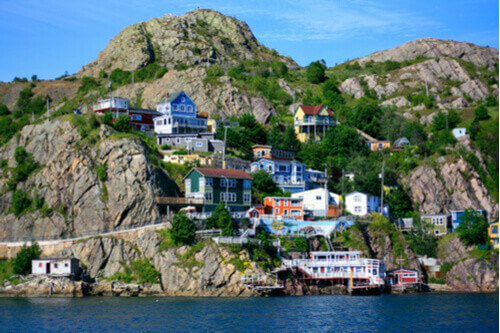 St. John’s has the kind of small-town charm you don’t find everywhere – its young, hip locals love to dabble in the arts, crafts and music. The food is also amazing. Just a short drive from the city centre lies cute-as-can-be neighbourhoods, such as the picturesque fishing village, Outer Battery Village. Enjoy photographing vibrant houses, which hug the coastline in tight-knit clusters, and are painted in shades of canary yellow, lipstick red and emerald green; visit the two lighthouses at Cape Spear, the most easterly point in Canada; and satiate your taste buds with a touton, a traditional Canadian pancake commonly made in Newfoundland. 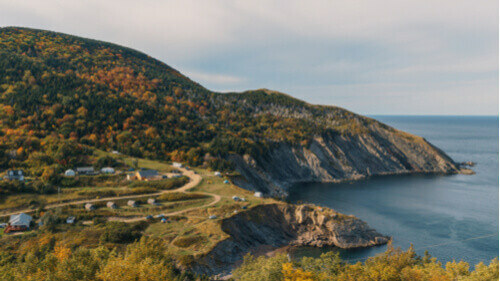 This tiny and remote fishing village located on Nova Scotia’s Cape Breton Island has some seriously jaw-dropping scenery. Sunset turns the rocky cliffs and headlands a shade of crimson while the rolling green hills set in the highlands make for an idyllic backdrop. The town is a popular stop while road-tripping the Cabot Trail. If you love hiking, the Cape Breton Highlands National Park has many trails, and the water at Meat Cove Beach is definitely worth a dip. The Meat Cove Oceanside Chowder Hut, directly opposite the town’s campground, serves up some of the tastiest seafood chowder, mussels and lobster you will eat. What type of Canada traveller are you?